Here is the Army's best kept secret! 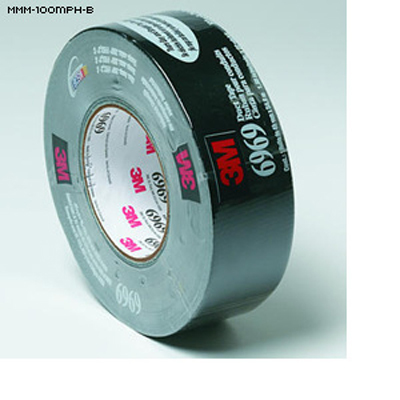 The original 3M heavy-duty, polyethylene coated "100MPH Tape" or "Riggers Tape". Used for just about any application!  Sticks to both rough and smooth surfaces.  Works in hot or cold weather.  Rolls are 60 yards in length and 1 7/8" wide.